The name of the 25G SFP28 comes from the fact that it is a Small Form-factor Pluggable (SFP) and its electrical interface can handle a channel of 25G, potentially up to 28G. 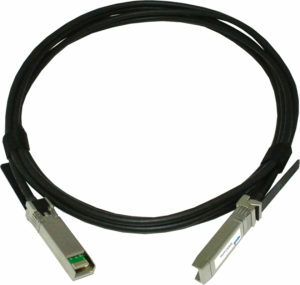 The technology used in the SFP28 is the same as the 100G QSFP28. 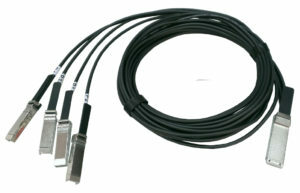 Indeed, the “Quad” of QSFP28 takes its meaning from the fact that 100GBase QSFP28 provides four channels of 25G, potentially up to 28G. Four different technologies can be found among the 25GBase SFP28 family: Multi-mode Transceivers, Single-mode Transceivers, Direct Attached Cables and Active Optical Cables. Of course, each technology has its advantages and inconveniences. In this article, we are going to introduce each technology to help you select the most suitable 25G SFP28 connectivity for your network. Multi-mode transceivers are the low cost transceivers. SFP28 SR use more expensive non-standard MPO connectors which cancel out some of the cost savings of the multi-mode transceiver. 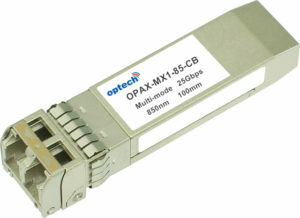 The 25GBase SFP28 SR transceiver supports connections of up to 100 meters over multi-mode fiber and uses MPO connectors. The wavelength is 850nm. The short range (SR) transceiver is the most cost effective solution to upgrade to a 25G network. 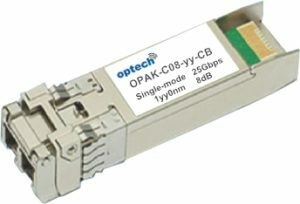 Single-Mode transceivers are more expensive than multi-mode transceivers but they allow to reach longer distance and most of them are using standard LC connectors. All single-mode 25G SFP28 transceivers are also available with industrial temperatures, ranging from -40°C to 80°C, which allows the transceivers to work in rougher environments with wide temperatures ranges. 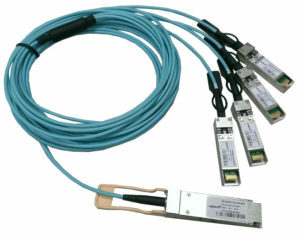 The 25GBase SFP28 CWDM transceiver supports connections of up to 2km over single-mode fiber and uses standard LC connectors. 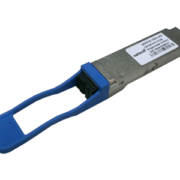 The 25GBase SFP28 LR transceiver supports connections up to 10 km over single-mode fiber and uses standard LC connectors. The wavelength is 1310nm. Direct Attached Cables are a very common method used for very short-range distances because of the their low-cost. Indeed, they are the cheapest solution to connect 25G equipment. In addition, it is a one part product instead of the usually three part solution (two transceivers and a cable), which reduces the problems associated with dirty connectors. DAC also consume less power compared to Active Optical Cables (AOC). There are two types of DAC, the passive copper cable for distance from 0 to 5 meters and active copper cable for distance from 5 to 15 meters. 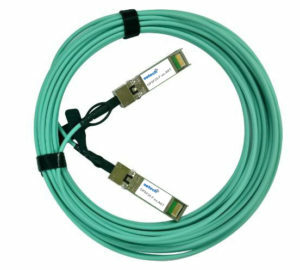 Active Optical Cables are comparable to using transceivers and separated cables. They can reach longer distance than DAC, up to 100 meters. They also are lighter and smaller than DAC. Optech products are compatible with all major switches and servers brands. You can check all the compatible lists here. 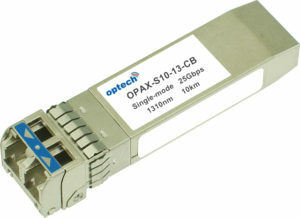 Optech offers a broad range of networking and communication solutions in following categories: Optical Transceivers, SFP, 10G SFP+, 25G SFP28, 40G QSFP+, 100G QSFP28 , Direct Attach Cables (DAC), Active Optical Cables (AOC), Ethernet Media Converter, Fiber Optical Patchcord, BWDM, CWDM, DWDM Mux/Demux and Repeater products. What is a Direct Attach Cable (DAC) ? What is an Active Optical Cable (AOC) ? What is a Loopback Transceiver ? What is the difference between DAC and AOC? Complete Guide to 100G QSFP28 Optical Transceivers and Cables What is a Loopback Transceiver ?